Citizens Advice is urging a ban on cold-calling by claims management companies after a survey found nine out of 10 people have been contacted in the last year. A month-long survey found 62% of people had been "pestered" by calls, emails and spam texts within a single week, with 72% of those from firms seeking their cut of the £2 billion payment protection insurance (PPI) compensation fund, according to the consumer advisory service. A wider report based on a survey of 300 people and analysis of 288 client cases about problems with claims management companies found 90% had been contacted "out of the blue". Citizens Advice is urging consumers to put the phone down on PPI cold-callers and go straight to their bank to make a claim. The report found that the companies take around 25% of a successful PPI claim in charges, with customers spending on average more than £1,100 in fees for something they can do themselves for free. One Citizens Advice Bureau saw a client who paid more than £4,000 in charges, while some firms were charging up-front fees of £600 without being clear if the consumer would get a payout. One in five Citizens Advice clients was led to believe they could make a claim for PPI without having or being mis-sold a policy, with one in four finding themselves in debt or financial difficulty after paying fees to a claims company, according to the report. Citizens Advice said its consumer service handled more than 4,800 queries about claims management companies offering PPI compensation services in the last seven months. 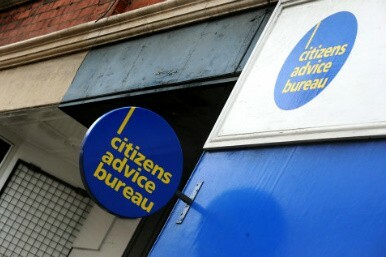 Citizens Advice chief executive Gillian Guy said: "People should give cold-callers the cold shoulder and go direct to their bank if they want to make a claim for PPI. We're advising them to ignore any unsolicited calls, texts, letters or emails from claims management companies. "These firms are intimidating people in their home and wasting a lot of people's time, and in some cases money when they make a claim and nothing comes of it. They're not up front with their customers about fees, are charging excessive costs and aren't getting people the payout they deserve."